1. 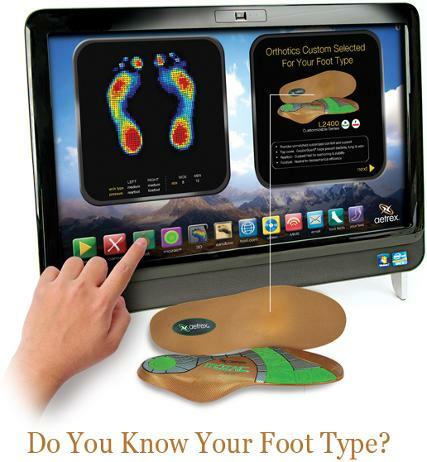 Computerized foot scanning using Aetrex foot scanning technology. 2. Assessment by a physiotherapist. I provide educated advice to help treat or prevent injuries. I. Proper foot wear: please remember proper foot wear does not have to be expensive or of a specific brand. II. Simple exercise: some simple stretching or strengthening may be all that is needed. III. Treatment and referral: when further professional treatment is required, I make a recommendation accordingly, often to a podiatrist, physiotherapist, medical doctor or other professional as appropriate. IV. Orthotics: orthotics maybe recommended if deemed necessary.